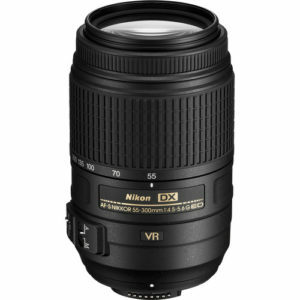 The Nikon AF-S DX 55-300mm f/4.5-5.6G ED VR is a compact telephoto zoom designed for Nikon DX DSLR cameras. 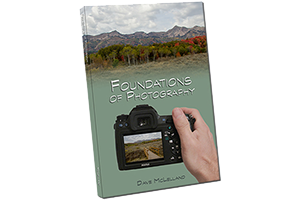 The lens offers an equivalent field of view to an 80-450mm lens on a full frame DSLR camera. While this lens can be mounted on full frame Nikon cameras, the camera will crop the image to the APS-C field of view rendering about a 40% reduction in resolution (megapixels). Built to a price point the Nikon AF-S DX 55-300mm f/4.5-5.6G ED VR is a good performing lens in a small and lightweight package. If you shoot with a Nikon APS-C DSLR camera and want a good telephoto zoom that won’t break the bank, then look no further. However, if you plan to go full frame in the future and can afford it, then you should look hard at the Nikon AF-P 70-300mm f/4.5-5.6E VR lens instead. based on 1879 user reviews online.